David Plaster, one of the foremost historians of the Grace Brethren movement, is shown here in the summer of 2008 in central Germany on the hill overlooking Schwarzenau, Germany, where Alexander Mack baptized eight believers in August of 1708 to begin the Brethren movement. Plaster was one of the participants in the 300th anniversary celebration in Schwarzenau and led the Brethren Heritage Tour. We will receive friends from 2-4 and 6-8 pm on Tuesday, March 9, 2010 at Schoedinger Worthington Chapel, 6699 N. High St. A memorial service will be held at 6 pm on Saturday March 13, 2010 at Grace Brethren Church. There will be a viewing on Wednesday, March 10, 2-4 and 6-8 p.m. at Redpath-Fruth Funeral Home, Warsaw, Indiana, and a memorial service at 6 p.m. on Friday in the Rodeheaver Auditorium in Winona Lake, Indiana. More details will be posted later. Dave Plaster was born in Akron, Ohio, November 6, 1949. He found Christ at the age of eight at the Grace Brethren Church of Canton, OH. He married his college sweetheart Ginny Crees, December 18, 1970. After completing studies at the University of Lyon, France (1970) and Grace College (1971), he entered Grace Theological Seminary, Winona Lake, Indiana. At that time he became the part-time pastor of Millwood Chapel in Etna Green, IN. After receiving a Masters of Divinity (1974) he and his wife Ginny moved to Armagh, PA where he began the Valley Grace Brethren Church. In 1979 he returned to Warsaw, Ind., to serve as senior pastor of the Community Grace Brethren Church. In 1984 he completed a Masters of Theology and joined the faculty of Grace Theological Seminary full-time. He received his Doctorate in Systematic Theology from Dallas Theological Seminary in 1989. He has served as Academic Dean of Grace Theological Seminary (1988–1991) and Vice President for Academic Affairs for both Grace College and Seminary from 1991-2007. In 1991–92 he was the Moderator of the Fellowship of Grace Brethren Churches. He was senior pastor at the Grace Brethren Church of Columbus 2007-2010. He was a valued member of the NCO Ministerium for the Fellowship of Grace Brethren Churches. Throughout his life two passions have made an impact all around the world mentoring pastors, and foreign missions. 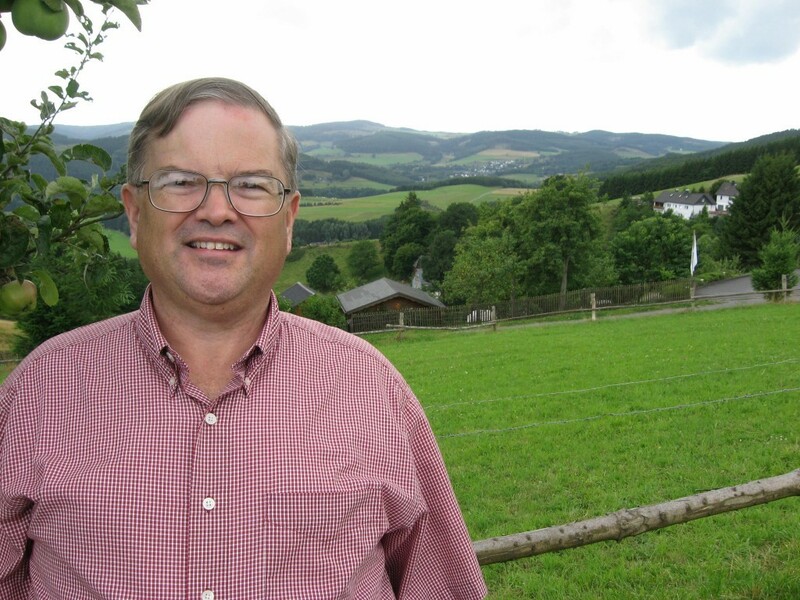 He has been a board member of the Grace Brethren International Missions for years. Dave and Ginny have three grown children: Andy, the oldest (Warsaw, IN); Rachelle, and her husband Brandon Creighton (Warsaw, IN), and Rob and his wife Nichole (Paris, France). They have one granddaughter, Shelly Marie Creighton, who was the light of her Papa’s eyes, and a baby boy Creighton on the way. Dave’s mother, Jane Plaster, resides in his hometown of Canton, OH. Family will receive friends from 2-4 and 6-8 pm on Tuesday, March 9, 2010 at Schoedinger Worthington Chapel, 6699 N. High St., Worthington, Ohio. A memorial service will be held at 6 pm on Saturday March 13, 2010 at Grace Brethren Church. In lieu of flowers the family has started a memorial fund in Dave’s honor. Gifts can be sent to the Dave Plaster Memorial Fund c/o GBIM, PO Box 80065 City of Industry, California 91716-8065 The family requests that all tributes be submitted to their website at www.caringbridge.org/visit/daveplaster.